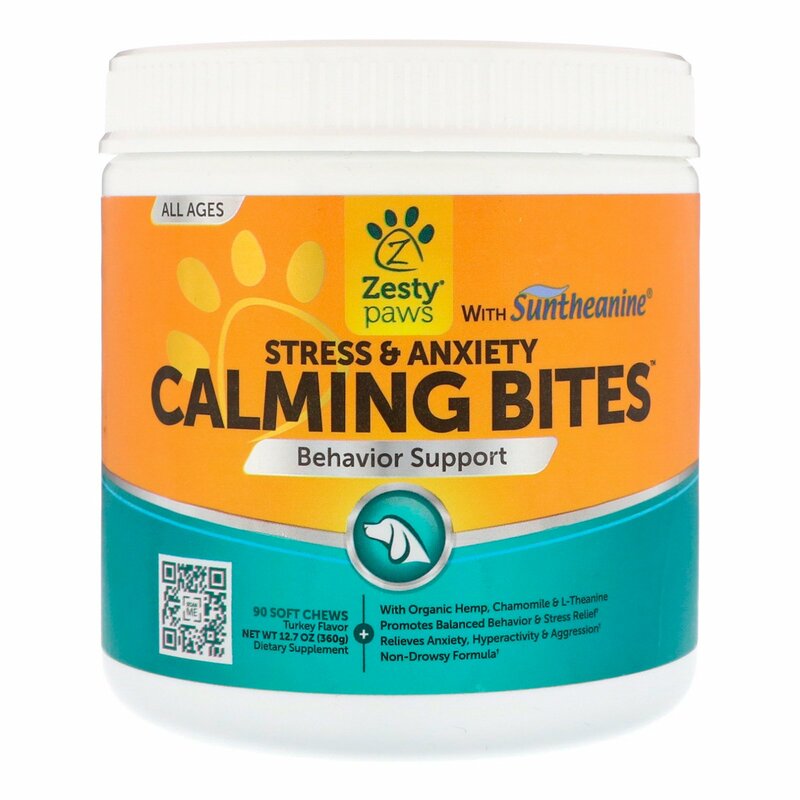 Zesty Paws Calming Bites are advanced chewable supplement with beneficial ingredients that can help dogs feel calm and comfortable in any condition. Suntheanine: A pure form of L-Theanine that is specially formulated to safely stimulate brain waves to support stress-free relaxation without drowsiness. Organic Hemp: A plant-based ingredient with properties that have been shown to help dogs cope with external stressors to promote calmness and composure. Thiamine: Also known as Vitamin B1, Thiamine encourages balanced behavior for hyperactive and aggressive dogs. Organic Chamomile: A calming herb that has been shown to help alleviate restlessness and anxiety. Valerian Root: A natural anti-anxiety herb that can help comfort dogs that display tense and hypersensitive behavior. L-Tryptophan: An amino acid that helps to calm dogs with disruptive, anxious, and easily agitated demeanors. Daily use is recommended for dogs that regularly display signs of stress and anxiety. In case of increased stress, it is safe to double the daily dosage. 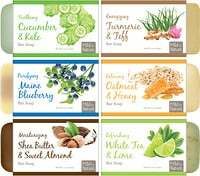 Palm fruit oil, pea flour, garbanzo flour, sweet potato, flaxseed meal, turkey, natural turkey flavoring, natural bacon flavoring, sunflower lecithin, coconut glycerin, rosemary extract, mixed tocopherols, sorbic acid (natural preservative). Caution: For canine use only. Do not exceed the recommended dose. In the case of accidental overdose, contact a health professional or veterinary professional immediately. 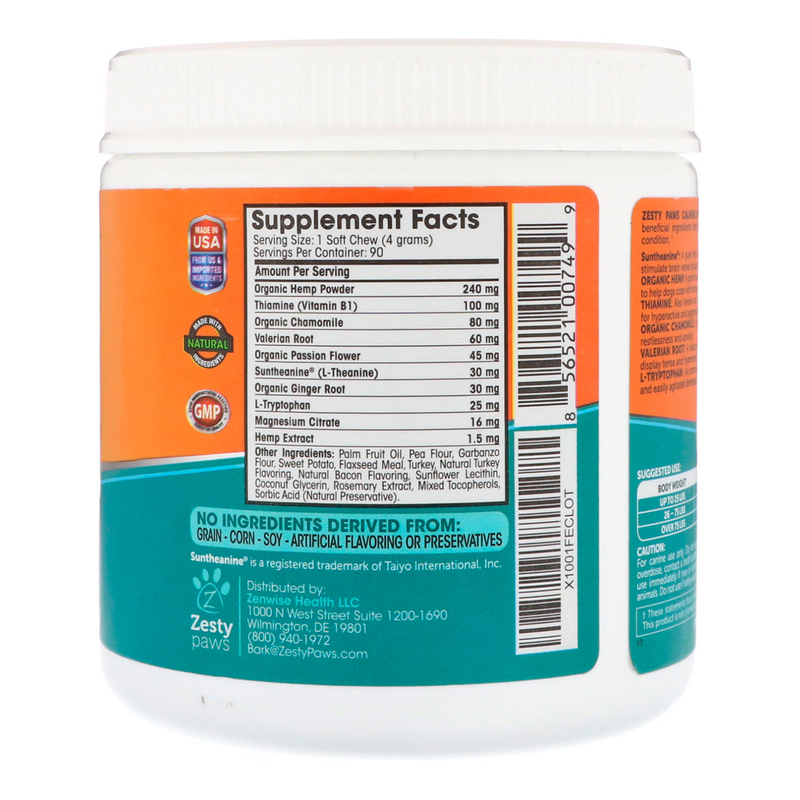 Discontinue use immediately if new or worsening symptoms occur. Keep out of reach of children and animals. Do not use if safety seal is broken or missing.